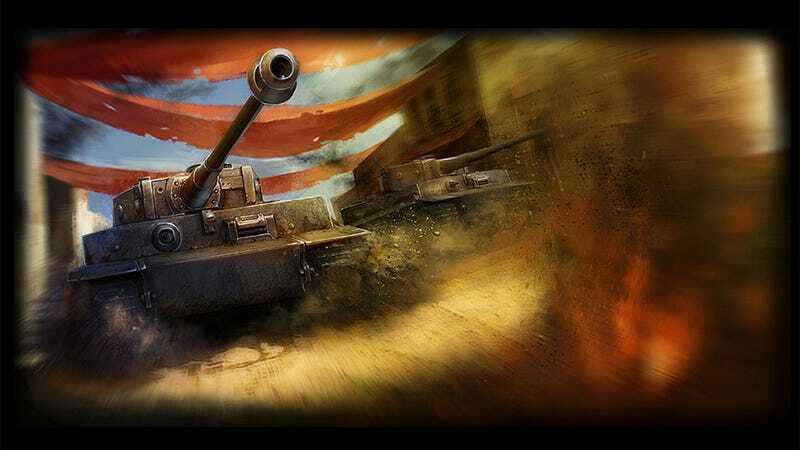 Two Chinese companies are being taken to court by developers Wargaming.net, accused of stealing intellectual property to complete their game Project Tank. Wargaming - who are behind one of the biggest games in the world, World of Tanks - have made the accusation in claiming Project Tank is "disturbingly similar" to their own title, and have filed suit in the United States Federal District Court for the Northern District of Illinois. Wargaming.net LLP (developer & publisher of World of Tanks) has recently launched a series of underhand actions against Project Tank, including using their connections to shut down our facebook page (http:/www.facebook.com/projecttankofficial), over PT’s purported “infringement” of their intellectual property rights. Continuously sabotaged by Wargaming, Project Tank and Gamebox have never intended to pose a threat or compete at any platform with World of Tanks. The graphics used in Project Tank are our efforts to reconstruct WWII battle scenes. We feel truly shocked and bullied by Wargaming, a giant company of the gaming industry who is apparently “threatened” by a closed beta phase browser game aiming to provide a cheaper, fairer, and more accessible war game to players around the world. I've only played World of Tanks, so can't vouch for how similar they are when you get to the gameplay, but a quick search shows the loadout screens of both games are awfully similar.